EN: Life in the patio. 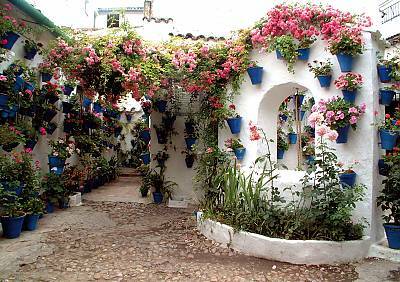 Patio House at Calle Guzmanas, 4. 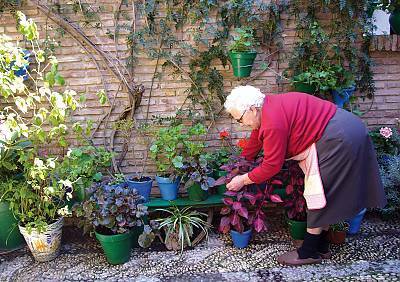 EN: The generational care of plants Patio House at Calle Marroquíes, 6. 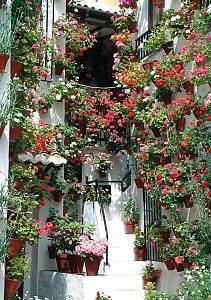 EN: Arrangement of pots in the Patio House at Calle Parras, 6. EN: Music and Dance Festival in Cordova Patios. 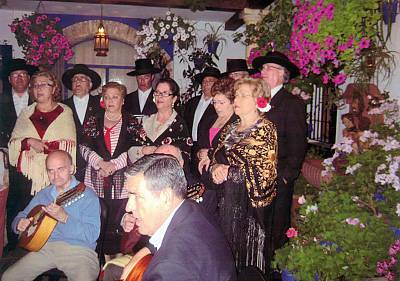 Performance in a Casa- patio. 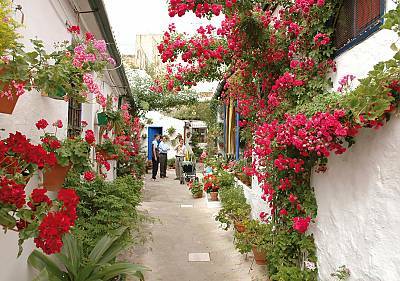 EN: The Festival of Patios in Cordova. 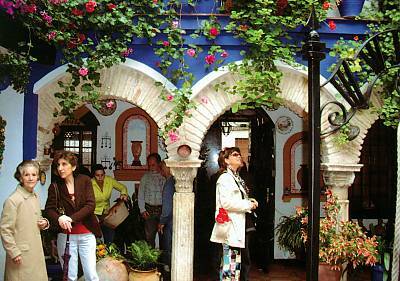 Visit to a Patio House at Calle Isabel II,1. 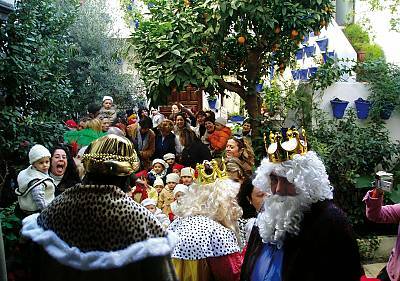 EN: Christmas activities in the Patio House at Calle Pastora, 2. 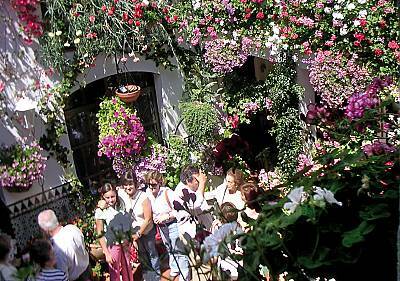 EN: Visitors enjoying the Festival in the Patio House at Calle Parras, 5. EN: View of the Patio House at San Basilio, 50. 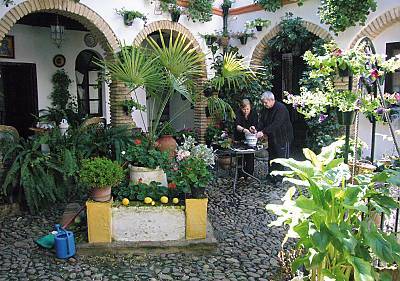 EN: Visitors admiring the patio in the house at Calle Marroquíes, 6. EN: Well in the patio of the house at Calle Trueque, 4.